Many other techniques and skills that really can make a difference. 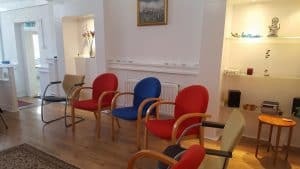 Self-Hypnosis, Meditation, Mindfulness, Emotion Freedom Technique – EFT, Neuro-Linguistic Programming – NLP, Past Life Regression and more. These are great for improving life skills and also help with Anxiety, Stress, Depression, Self-Confidence, Memory Skills and more. Booking advance is always required and a small fee is charged to cover the costs. This is a non-profit event. Newcastle Hypnotherapy & NLP Events. Longer events are also run for greater learning in such areas as Self-Hypnosis, Emotion Freedom Technique – EFT, Neuro-Linguistic Programming – NLP. For the latest events information by email please join our newsletter below. You can also join The Secret Workshops Facebook Group for more information. Can You Share Some Skills? If you can contribute and share some useful life skills get in touch by email and we can discuss this further. What Would You Like To Learn? Suggest A Topic. If there is a particular topic or subject you would like to work on please let us know. The aim of the group is to bring together as many skills as possible to then share with others.